I've suffered with skin problems most of my life. I tend to have an oily complexion, which over the years has developed brown sun spots. These pigmentations are something that I have tried hard to get rid of, but I never really succeeded. Like many people I have worked my way through most of the skin care products on the market, and always end up disappointed. Thankfully, the new SOS™ skin correction system provides the results that I've been looking for. Quite soon after starting to use the products I noticed a difference, as did my daughter and close friends. My skin is now a lot softer and smoother than it was before, and there has been a significant improvement in pigmentation. I no longer have to wear heavy make-up to hide the age spots. 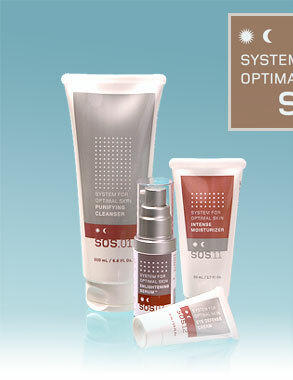 I use the SOS™ range morning and night, and would highly recommend it to anyone looking for a quality skin care system. It is superior to anything else on the market and you really only need to apply a little of each product, so it lasts a long time. I've been using skin care products since I was 15 years old, I've tried many different brands, but they never seem to solve my problems. 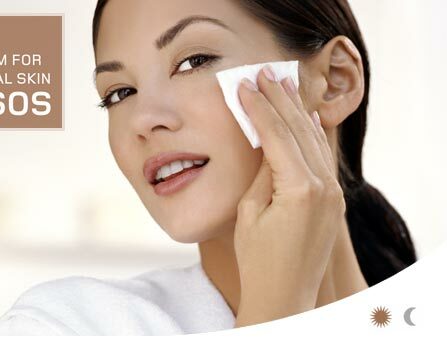 I suffer from uneven skin tone, large pores, fine lines and brown age spots. I am also prone to patches of sensitive skin. It was only when I started using SOS™ that I noticed a huge improvement. After just two months, my pores minimized, the age spots and fine lines were gone, and the red patches of sensitive skin disappeared. I work in the media industry, so my appearance and image is extremely important. People are now constantly complimenting me on my skin, and mistaking me for being 10 years younger. Many don't believe that I have a 21 year old son. I have no hesitation in recommending the system; SOS™ is definitely the right choice.